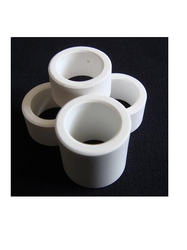 Raschig ring is a form of random packing and is used in commercial fractional distillation columns to reduce pressure loss (versus using trays), while maintaining good efficiency and economy, Raschig Ring Packing is proven in a wide range of mass transfer applications. 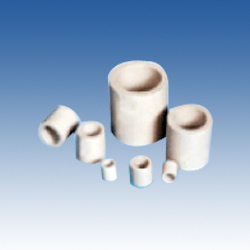 From our wide range of products, we are offering superior quality Ceramic Raschig Ring. The product offered by us is manufactured using fine quality raw material and latest techniques as per the set international standards. Moreover, the offered Raschig Rings are checked on defined parameters ensuring its overall quality.